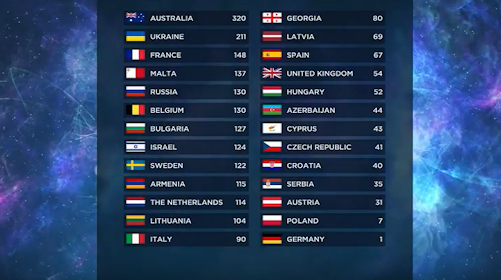 For all those people who are interested in the Eurovision Song Contest, here are the results for 2016. 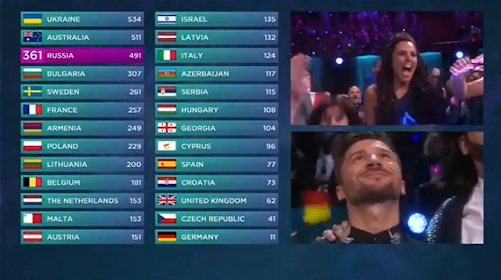 The presenters were Petra Mede and Måns Zelmerlöw. Justin Timberland performed during the voting time. The semi final 1 was broadcast on Tuesday 10 May 2016 2 hours 5 minutes long. The semi final 2 was broadcast on Thursday 12 May 2016, 2 hours 5 minutes long. For Background Details to the 2016 Eurovision Song Contest, please click here.